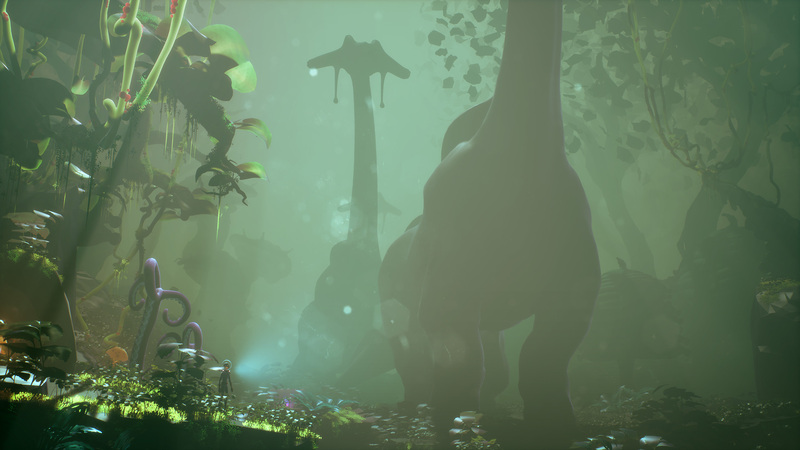 Back in June 2018, we got a look at a brand new trailer for Planet Alpha, an atmospheric, side-scrolling platformer developed by Planet Alpha ApS, a new studio based in Copenhagen, Denmark. Now, independent developer Adrian Lazar is back with an announcement trailer that gives away the Planet Alpha release date. This adventure game will take you to uncharted planets on September 4, 2018. You can watch the release date trailer below. The Planet Alpha trailer not only shows us some of the game’s impressive and unique art and biomes, but also a series of tense chase sequences, suggesting we are invading various territories. The fact that the trailer is named “Survival” seems fitting, considering it looks like everyone—from the player character to the animals, insects, and drones—wants to survive. Developed by Planet Alpha ApS and picked up by indie publisher Team17, Planet Alpha is, according to the game’s official site, “an adventure that takes place in a living alien world where you have the ability to control the day and night, [combining] fast platforming, challenging puzzles and stealth moments with [a] unique art-style to create an unforgettable experience.” Yes, you read it correctly: you can freely control the game’s day-night cycle, allowing you to play the role of a pseudo-God. Planet Alpha will be available on Nintendo Switch, PC, PlayStation 4, and Xbox One on September 4, 2018.